Are you on the hunt to snag a flight or hotel bargain? 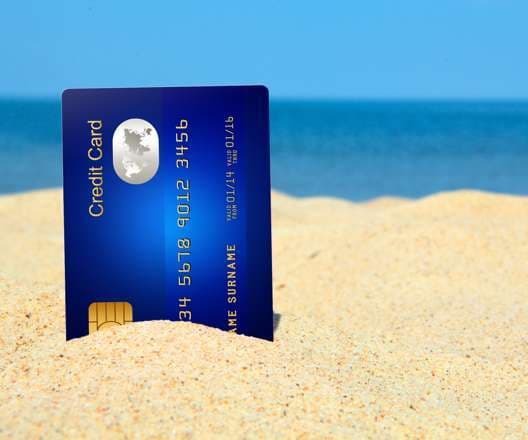 Then don’t be fooled by that “hot deal” because Mozo’s money gurus found travel extras are on the rise and it’s not only low cost airlines that are the culprits. Hotels, resorts and car rentals are “supersizing” by charging for things like pool access, extra towels and roadside assistance. We’ve dubbed it the supersize travel rort because if you don’t review the “deals” carefully you could end up paying more than 40% of the advertised price. For instance we costed a 9 day holiday to Hawaii (flights, car and hotel) and found “extras” added more than $1,630 to the cost of the holiday. Think of all the mojitos that could buy! We discovered many low cost airlines have a fee if you want to check baggage, which means if you’ve planned a shopping holiday you could be paying extra dollars to get your goods home. For example, if you fly with Jetstar from Sydney to Hawaii you’ll be charged $49 to check a bag. Also keep in mind that while international flights often allow 30kg of checked in baggage, domestic flights in the country you’re travelling to may only let you take 20kg worth of luggage. So if you have a planned stop over and then take a domestic flight, you may have to pay excess baggage fees. The same goes for the number of bags you’re bringing because while your international flight may allow two bags per person, many overseas domestic flights only allow one and will charge you for any additional luggage. For instance, United Airlines charge $35 for a second bag from LA to New York, even though Qantas allows 2 bags free from Sydney to LA. If you’ve got an iPad or laptop you may want to consider bringing it with you, as some airlines have an in-flight entertainment fee around the $30 mark. You’ll also be able to watch shows and movies you actually like (AKA Game of Thrones or House of Cards). Just make sure you charge up before your flight or check if your airline has in-seat power outlets. Again if you’re flying with a low cost airline there aren’t any free peanuts or drinks and you’ll have to pay for meals. Let’s be honest unless you’re flying in first class, aeroplane food is pretty horrible no matter which airline you fly with, so forking out up to $50 for a tasteless/non-nutritious meal isn’t a good use of your money. Instead find out if the airline you’re travelling with allows you to bring your own food with you and get your grog at the duty free! Once you’ve touched down in an exciting location, what better way to explore a new area than by zooming around in your very own rental car? But if you’re not careful that $25 a day budget rental could end up soaring to over $50 a day. Often car rental companies don’t provide decent maps of the area and GPS navigation units are generally not included standard with the rental. Our researchers discovered GPS hire fees can cost around $US10 or $EU14 a day, which is a bit pricey if you’re only cruising around a small area near the resort. So consider whether you really need it. While general mechanical breakdowns are covered by your rental costs, many car rental companies offer an optional extra of roadside assistance, to protect you if you find yourself stranded on the side of a foreign road due to things like a flat tyre or running out of petrol. Okay we are not going to tell you not to splurge on this essential (because getting stuck without roadside assistance can be a massive headache) but it’s a good hidden extra to know about so you can budget accordingly. If you find yourself in a car accident overseas, rental car excess cover (otherwise known as loss damage waiver) means you’ll pay a reduced excess amount, potentially saving you thousands of dollars. The catch is to get this cover rental companies will bill you big. In our Hawaii trip this cover added over $300 to the cost of the rental. So make sure you check your travel insurance as many include rental car excess cover and save yourself the cash. Child safety seats: Travelling with the kids? Make sure you bring your baby or child booster seat with you to avoid this extra fee. Additional driver: Sharing the wheel is also going to cost you, as most rental companies charge to authorise an additional driver. Vehicle winterisation: If you’re enjoying a chilly break away and hire a car, you may have to fork out over $80 for winter tyres. Theft waiver: Also budget for paying a theft waiver, which protects you financially if your rental car is stolen. Keep in mind theft waiver insurance doesn’t cover the goods inside the car, so never leave behind any valuables. And the car hire costs continue because we found some resorts are charging $30 a day to park your car in the resort. So always try to find a resort that offers complimentary parking for the duration of your stay. Think your hotel includes access to the pool and free wifi? Well think again, as many hotels in the US vacation hotspots like Hawaii and Las Vegas have a mandatory resort fee which is around $30 a day for access to the pool, gym and wifi. A complimentary breakfast with your resort stay is a common assumption, however this isn’t always the case with “internet specials”. So if you have to pay for breakfast, it’s probably worth eating at a nearby cafe and enjoying the local cuisine at a more wallet friendly price. Pool towels: Yes you read correctly, not only will some resorts make you pay a resort fee to use the pool but also for the use of a pool towel. Poolside lounge chairs: Planning to stay at the Bellagio in Las Vegas? A poolside lounge chair will set you back $100 on a Saturday. In room safe: Want to protect your precious goods, whilst out and about? Some hotels are charging guests for the use of the safe. Bottle of water: Even this staple may not be for free! So always check before opening, as you may find it’s cheaper to buy water from the local supermarket. Baggage holding: If your flight doesn’t leave until the end of the day, leave it at the hotel reception...right? Well yes but now some hotels make you pay for the service. Express/early/late check in: As we all know the time you arrive at your destination may be at an ungodly hour and hotels are more than aware of this, with some sneakily introducing a check in fee for those who arrive outside normal trading hours. As you can see if you take up the holiday supersizing, your budget holiday can turn into a budget bust. So be sure to read the fine print and always keep your eyes peeled for standard inclusions and hidden extras when planning your epic holiday. 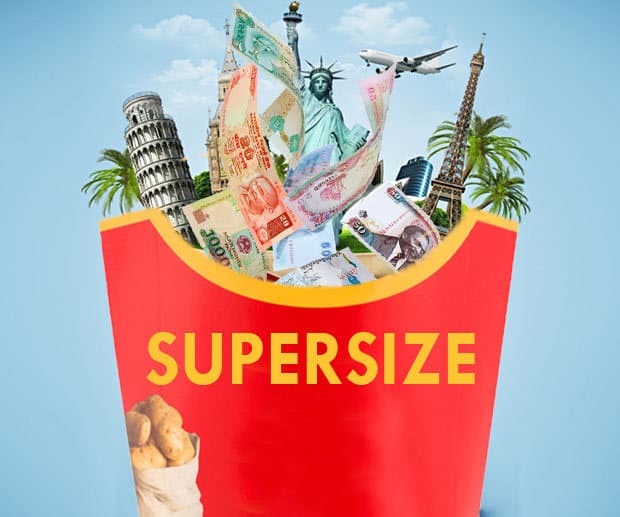 Have you felt the bite of the supersize travel rort? Share with us below. *Prices taken on 10 November 2014.